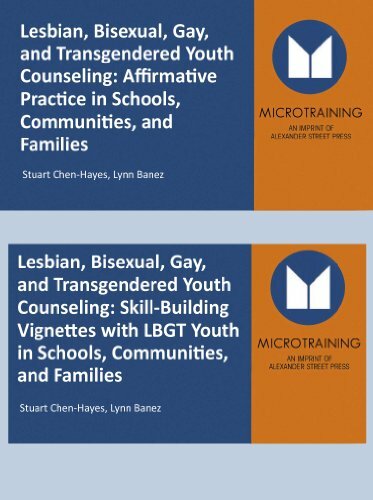 Lively and entertaining with solid scholarship concerning sexual orientation and gender identity, these are the first DVDs showing specifics of LBGT counseling and therapy. This DVD is oriented to the strengths of LBGT clients, enabling them to face the challenges of living in a world that targets them for violence and oppression. The six demonstrations focus on real world issues your students will face in the near future-an unexpected "outing," physical threats, affirming LBGT identities, suicide attempt, gender transformation, lesbian family issues, school harassment. Published and distributed by Microtraining Associates. If you have any questions about this product by Microtraining Associates, contact us by completing and submitting the form below. If you are looking for a specif part number, please include it with your message.